In 2012, I was honored to serve as a Miss Fiesta Finalist. I participated in order to become more involved in our city and to potentially receive a scholarship award. We had some of the most traditional practices for the pageant that you can imagine, complete with a “pageant mom”, who was a true character! She helped me gain a ton of confidence and I will never forget spending time with my fellow contestants, while sharing my love for San Antonio. Attraction: The Eastside Neighborhood – historical houses and a perfect view of the Tower of the Americas! After spending time learning about the history of San Antonio and Fiesta, I felt a new appreciation for our city. The value of the Fiesta season to locals and visitors alike is amazing but many do not know why we celebrate each year. 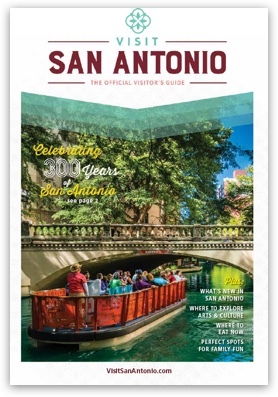 We celebrate our culture, not just Mexican culture, but San Antonio’s culture which is comprised of a wide array of slogans, feelings, colors, foods and events throughout the year. You are able to share in the special moments and create lasting memories with loved ones across our different communities at each event. I have never experienced a city that celebrates it’s heritage more than San Antonio, especially through events like Fiesta. Come and experience it for yourself sometime!